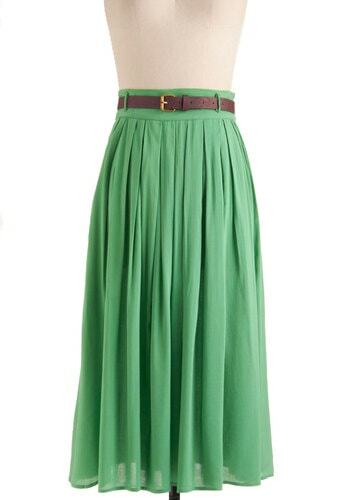 I just LOVE this Swish and Spin Skirt in Green by Mod Cloth. It’s PERFECT for an every day spring look. Pair it with a white tank, sandals and elongated necklace and you will be good to go. I’m all about keeping it easy in the Spring. The lightweight gently pleated fabric will make your everyday outfit just a little bit more elegant without any extra fuss from you. I love how breezy it is. It’s definitely the perfect skirt for spring…and summer!